From day 01 through day 18, magnificent mountain peaks topped with snow are visible. 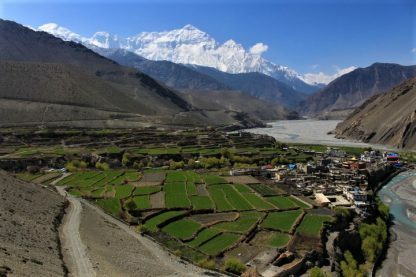 The trekking rout initially follows the picturesque glacier-fed Marsyangdi River to Manang. 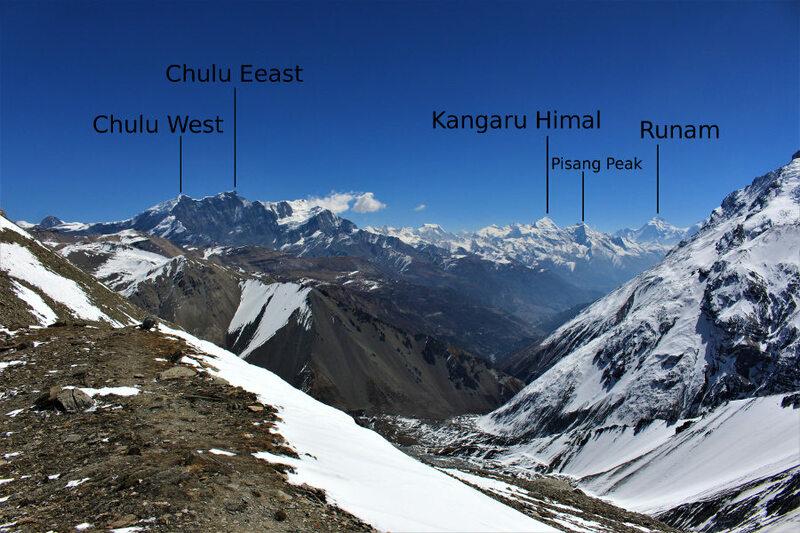 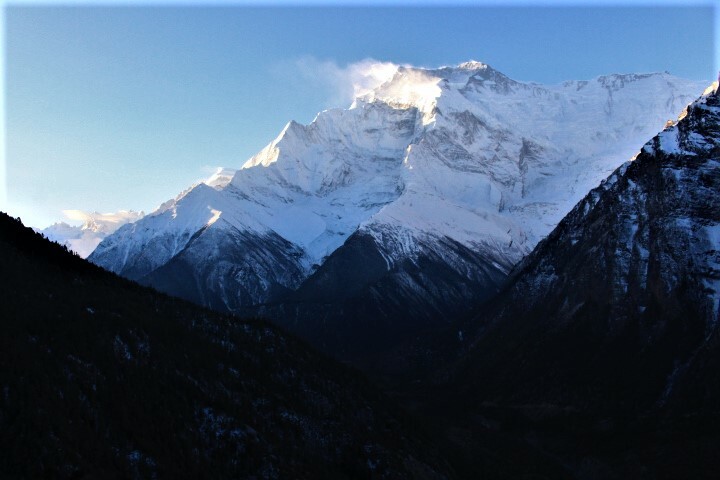 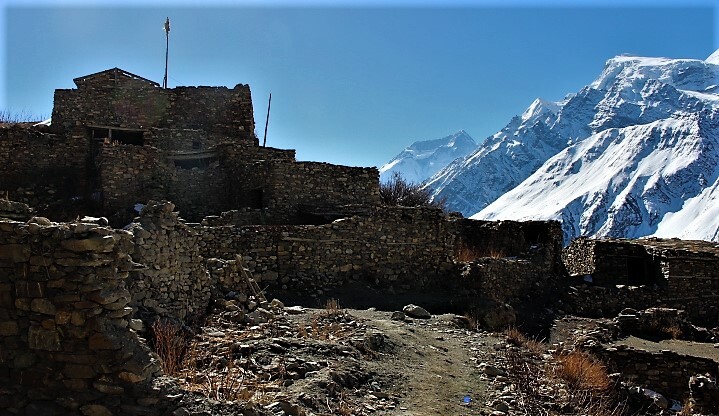 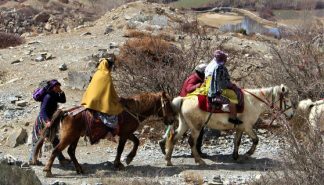 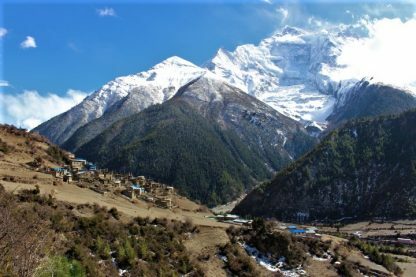 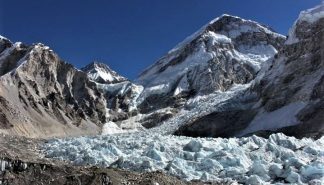 The highest point of the trek is then experienced in Thorang La pass at an elevation of over 5,400 m. The trek continues to a revered holy site, Muktinath, then to Jomsom (apple country! 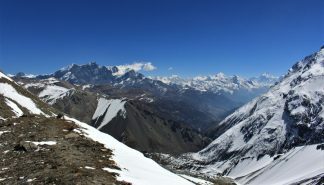 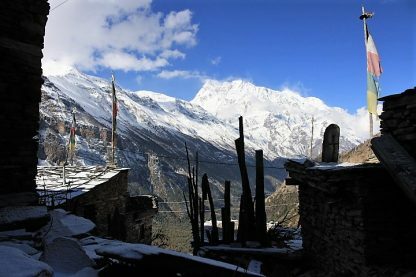 ), Marpha, Tukuche, and then through the world’s deepest gorge in Kaligandaki. 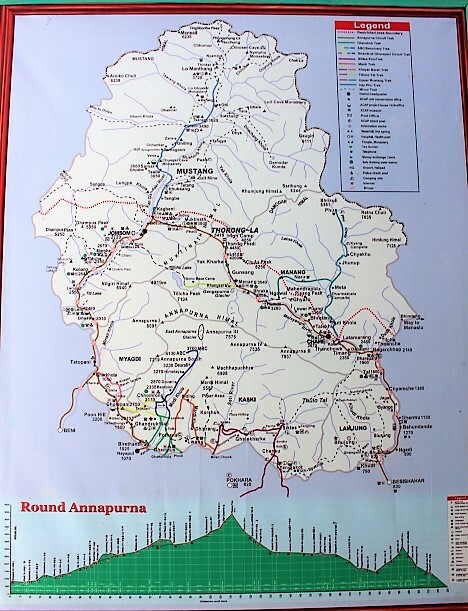 After a few more stops, one notable stop being Tato Pani (hot water), a natural hot spring, the trek concludes in Nayapul. 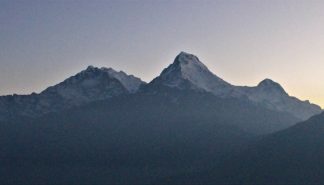 A chauffeur will then pick up trekkers and take them to Pokhara, which offers many services and amenities. 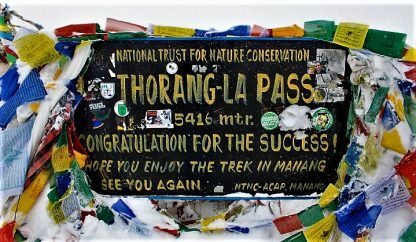 You can seep pictures and read about the trek by visiting our blog posts here. Day 07: Acclimate in Manang and go on local hikes. 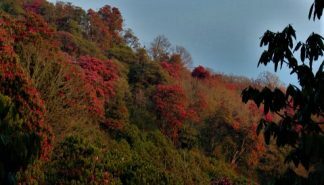 Day 16: Finish the trek to Nayapul and be chauffeured to Pokhara.